How to sew a zipper tab to reduce bulk on the side seams of any zipper pouch you make from now on. 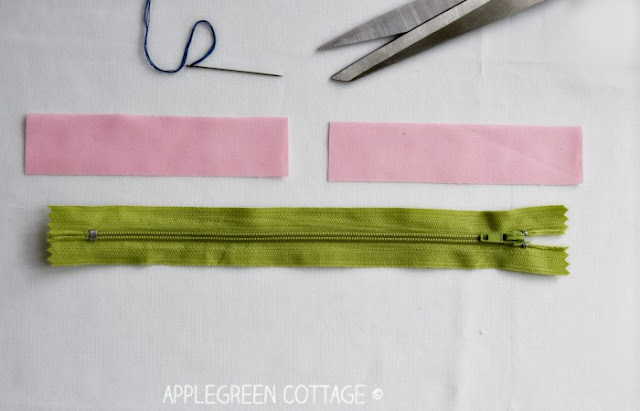 It's an easy how-to for beginners that will make your sewing better, easier, and your zipper pouches (like this one) look so cute! Check it out! 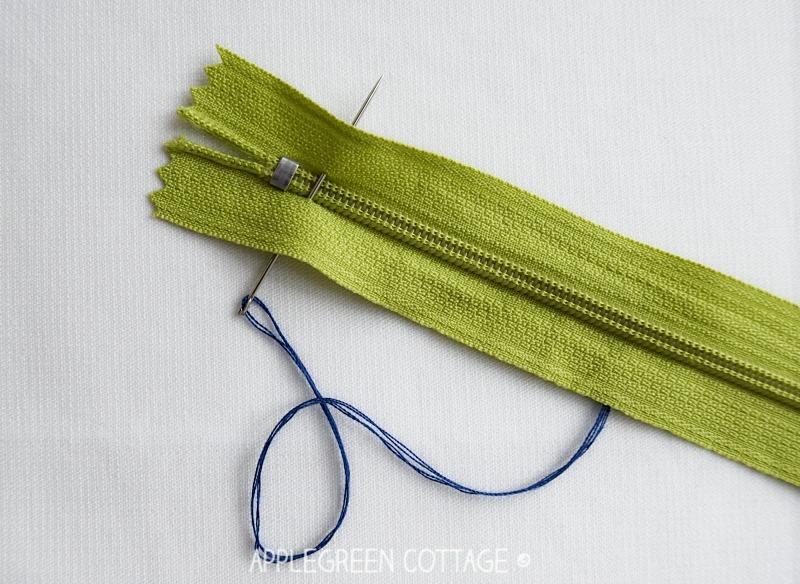 Now, back to today's how-to: Some sewing beginners fear zippers just because they can get bulky when sewn in with a few layers of fabric. This would usually mean that the machine needle could get stuck, or the seam wouldn't be straight, or the zipper ends would end up pinched, and there's more, I'm sure. 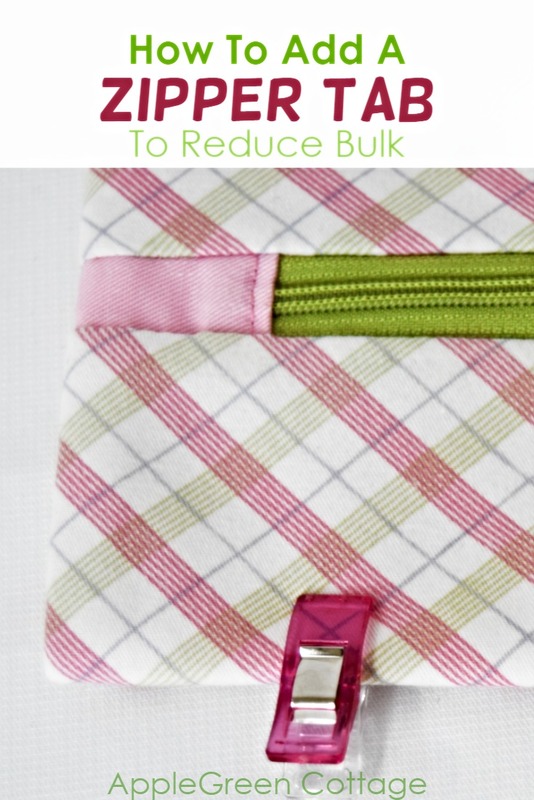 So, why not eliminate bulk from the side seams when making a pouch? 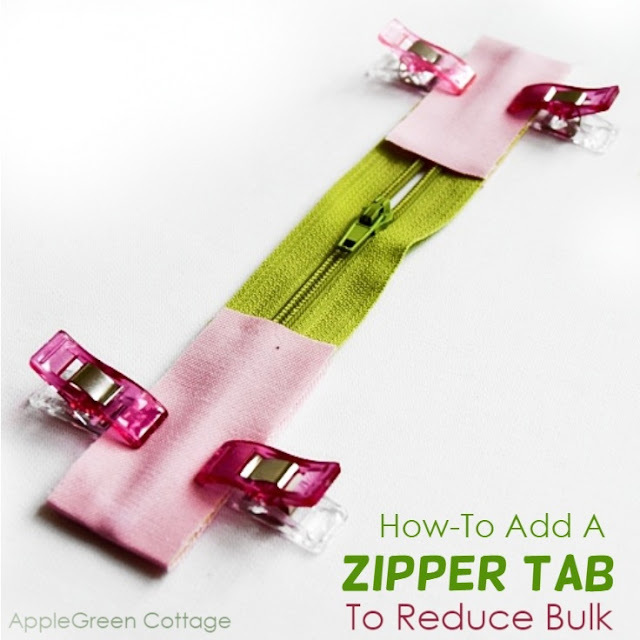 The easiest way to do so is extend the zipper using tiny fabric scraps. Anyone can do it! Not just to make a zipper cuter, the main purpose here is to reduce bulk when sewing. Here's how to do just that. Beginner-friendly, I promise! 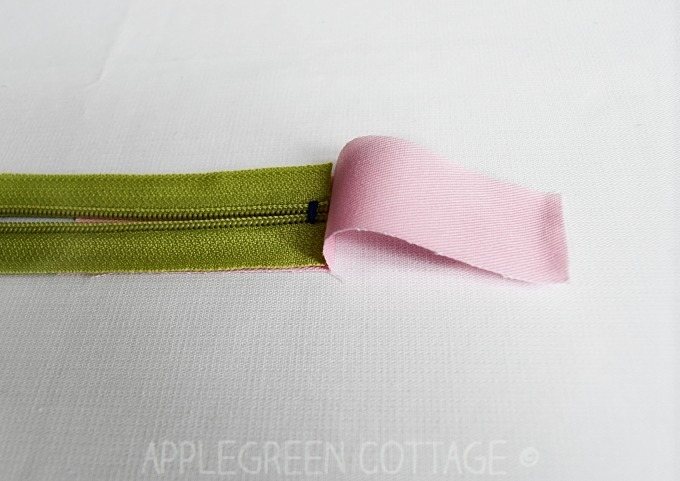 1) Decide on the length of your zipper pouch you'll make using this tabbed zipper. Or just follow what I did: I took a standard 7" nylon coin zipper and worked from there. I chose a 7 inch, as this is often the most convenient zipper length to integrate in standard pouch sizes. Secure the ends by hand-stitching at 1/8 inch from the planned cut. Then snip off the excess zipper. This means you'll also cut off the metal stoppers. 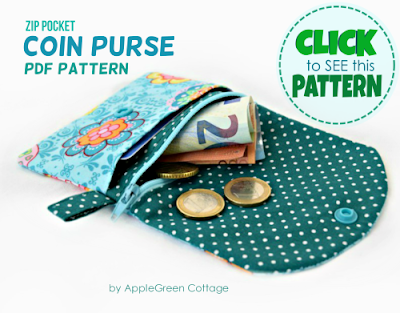 You'll also get a pattern from my shop for free as a thank-you for joining. 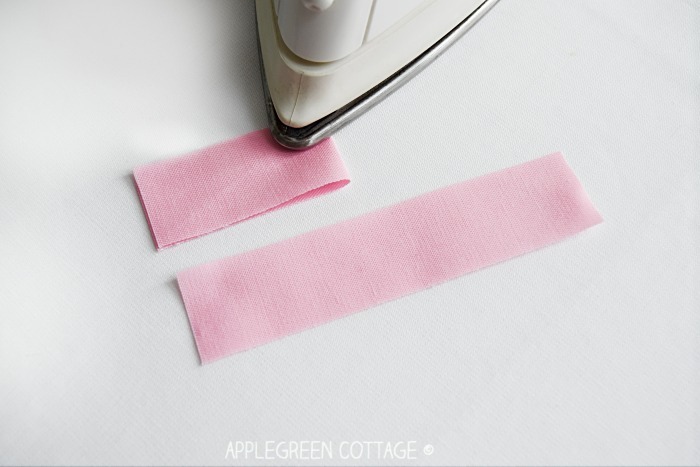 2) Fold each of the two fabric tabs in two and press RST (right side together). 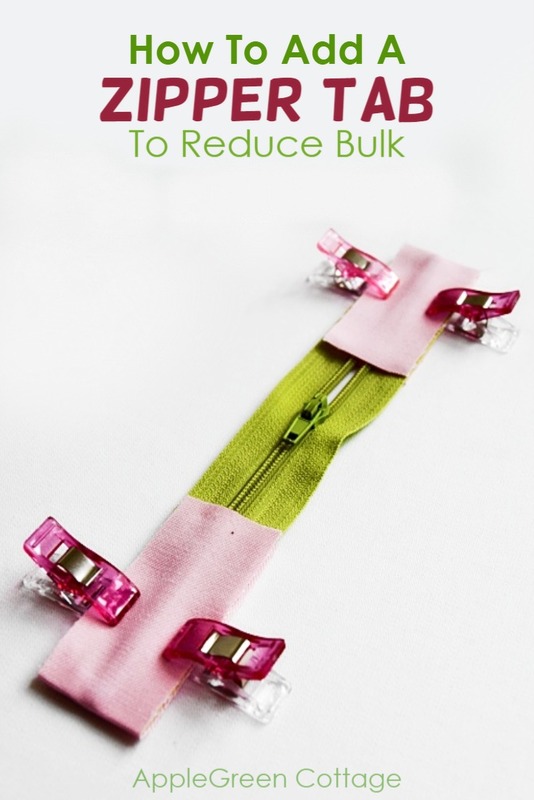 3) Slide them on each end of the cut-off zipper. 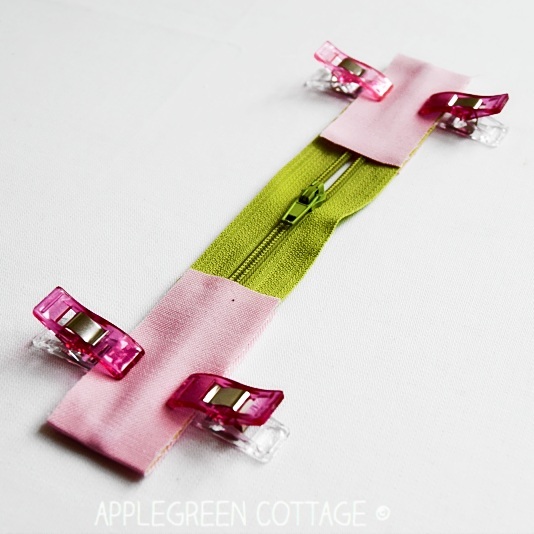 4) Pin or use wonder clips to hold in place. 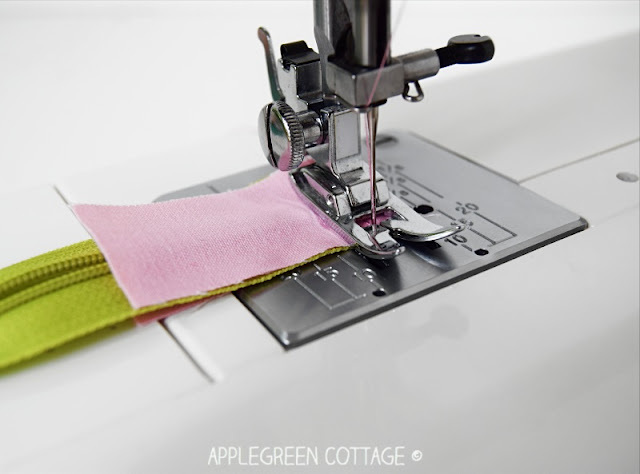 5) Machine stitch using a 3/8 inch (=1cm) seam allowance. 6) Then fold the sewn pieces back as shown in the photo above and finger-press. Then topstitch using a SA of 1/8 or a bit wider, but no wider than 1/4". You'll catch the zipper when topstitching. 7) Repeat on the other side of the zipper. Done! 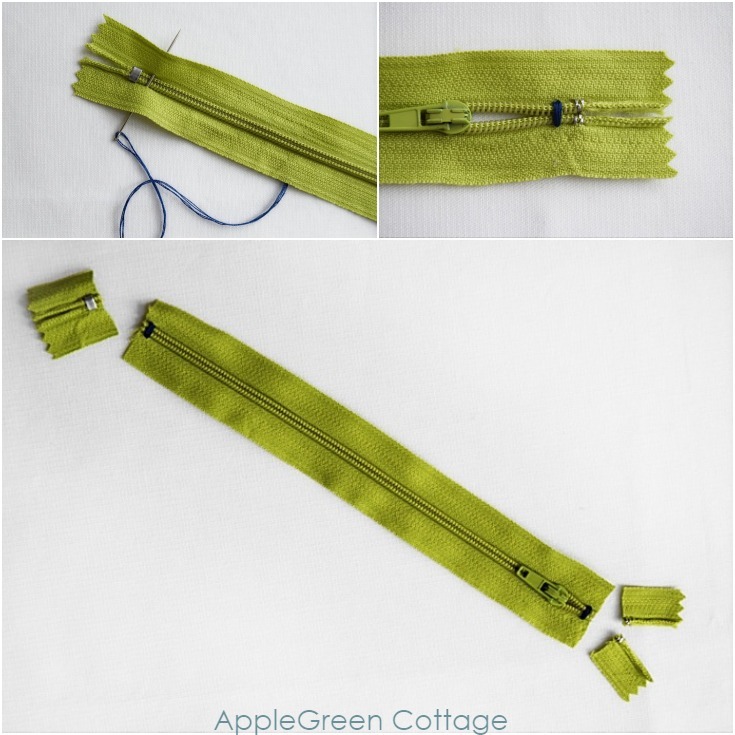 You've just tabbed your zipper, now you are ready to sew the zipper into a pouch. It will make it look nicer and more professional, but what I think is the most important - you won't need to fiddle with zipper teeth when sewing the sides, and this always means a lot less bulk and a clean look of the finished pouch. Just as if it were a normal zipper - just easier! This is the back of a sewn-in zipper when tabbed. 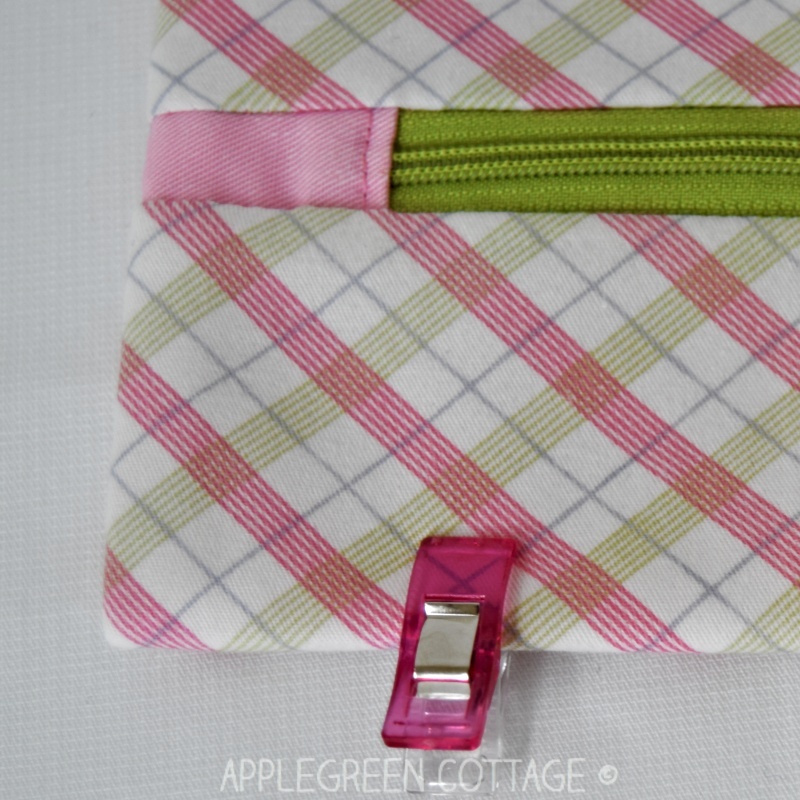 I love it how tabs add a pop of color to any zipper pouch! 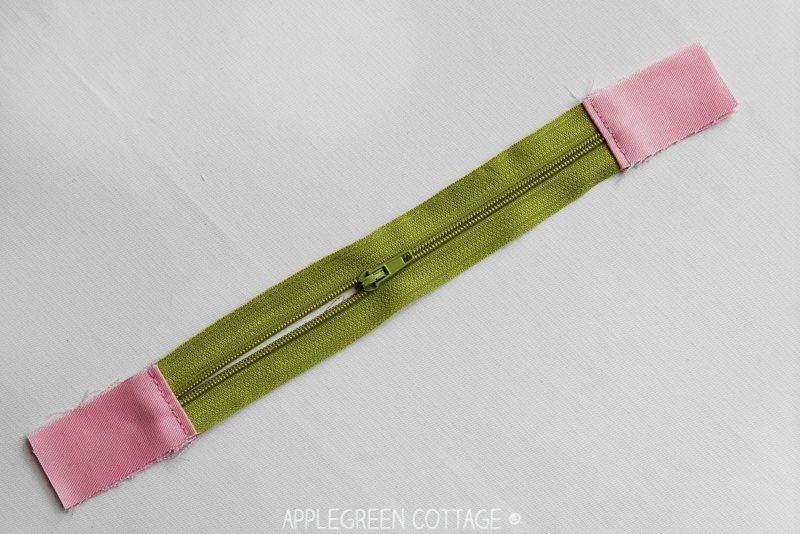 This is what I've sewn using this tabbed zipper, and there will be a tutorial related to this one soon, to put your new skill to good use. So make sure to save this how-to and sign up for the free weekly newsletter, you you don't miss it! You can add zipper tabs to this one too! I've wondered how to do this: thanks! I'm happy to see this tutorial has helped. Happy sewing! How clever. Thanks for a great tip. Very practical, easy, and neat. Happy to see you liked it!